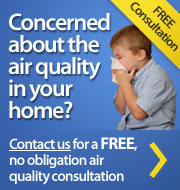 Are you faced with extensive heating repairs in Westchester County? If so, you may be wondering whether it's best to make furnace repairs or to go ahead and replace it. Part of being a homeowner means addressing important concerns that are bound to arise at one point or another. One main area that will have to be taken care of is your furnace. 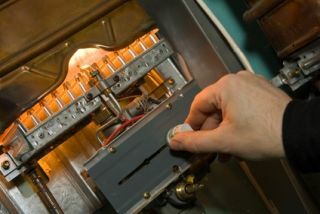 The older your furnace gets the more you question whether to keep repairing it or if it is time for a furnace replacement. Of course, replacement is much more costly than repairs, but it can actually wind up costing more if you continue to pay for repairs and then have to replace the furnace anyway. So how exactly will you know? Our Westchester County duct cleaning and heating service company can help you with some expert advice about heating repairs. First of all, by working with a reputable Westchester County heating repair expert, you can be sure that you are going to get the right advice about heating repairs. If you work with someone who is less experienced or isn't reputable, they could be filing their own pockets as opposed to having your best interests in mind. If someone seems to be pushing costly replacement and you aren't sure about their advice, go ahead and get a second opinion. To help make the decision, consider the current value of your furnace. As a general rule of thumb, if the costs of repairs are greater than 50% of the current value of your system then it probably makes more sense to replace the furnace. The worst thing that could happen is that you pay really high repair costs only to have more repair needs crop up almost immediately after. Another thing to consider is how old your furnace is. The older it is, the more likely that it is time to just replace yours. You don't want to invest a great deal of money into a system when the time has come to replace it anyway. You would be better off updating and upgrading at that point. By making the choice to work with Nu-Way Air Conditioning & Heating, you can feel confident that you are making a wise decision as a homeowner. We are the Westchester County heating repair company that locals call on in order to get all of their heating and cooling service needs met. We can offer you a second opinion. If your furnace can be repaired, you can be sure our HVAC contractors know how to do it. So give us a call today and let's get started taking a look at your furnace to determine if you need repairs or if it is time to replace. For this, and all of your Westchester County heating and air conditioning service needs, you can count on honest service that serves your best interests.